Almost every time I make Polish pierogi, one or two don’t make it. They come apart when I boil them because I unknowingly left an opening or a little hole when I sealed them up. But not today. Every single one was perfect! I made 27 piroshki and they all survived. We had them as a side dish for dinner with chicken and some brocolini although when I was growing up, pierogi was the entire meal… along with fried onions, bacon bits, and lots of sour cream. So I had a little sour cream and onions but I skipped the bacon bits. 3 Comments on "Homemade Pierogi"
Your recipe reminds me of all the times I helped my mother make pierogi. The european farmers cheese was always used in the recipe but I have found a combination of cream cheese, feta and cheddar is a pretty darn good substitute. Its the tanginess in the feta that resembles the farmer’s cheese. I find the dough handles better after its been in the refrigerator overnight. 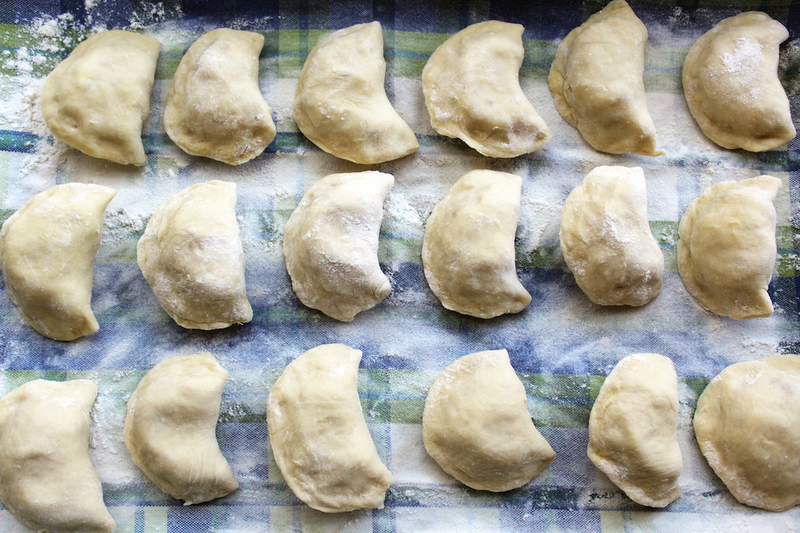 One way to avoid them splitting is always pinch twice but then I push the edges in towards the pierogi to create a fluted effect. I usually put about three tablespoons of filling and never have they come apart. My mother used to make meat and mushroom as well as kraut and kielbasa. We always tossed them in extra butter and sautéed onions. This recipe reminded me of my grandmother’s pierogi. In addition to potato and cheese, she also made sauerkraut. 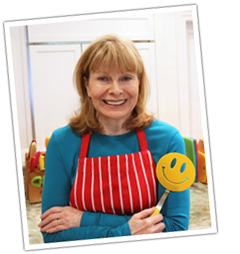 Sadly, I never got her recipes – most of it was in her head. Any chance you have a recipe for the sauerkraut filling? Love your site. Thanks so much. I’m working on a mushroom-kraut filling. I mentioned it in the blog post above.